Find the right tour for you through Evora. We've got 75 tours going to Evora, starting from just 3 days in length, and the longest tour is 31 days. The most popular month to go is September, which has the most number of tour departures. "Theresa was an absolutely fantastic guide. Helpful, informative and entertaining...."
"This self guided tour was great. 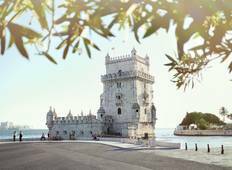 We were met in Lisbon by the local representatives..."
"Hotels were very good; but though the last hotel Lagoas Park had excellent facilities,..."
"Great except for the tour leader, he never stops talking. Even working on his computer..."